While Columbus, Ohio is typically a hotbed for anti-Michigan sentiment, it’s also home to Detroit Tigers fanatic, Kenon Carter. I started following Kenon’s Facebook page, Detroit Tigers Minor League Tracker, very early in the 2018 season. I had just completed a series for Legends on Deck on Tigers prospects and I thought I had a pretty good handle on the farm system. That was until I started reading this new page. As a subscriber to MiLB First Pitch, I have access to all the Toledo, Erie and West Michigan games, but baseball being a daily sport, it is difficult to keep up with all the action. 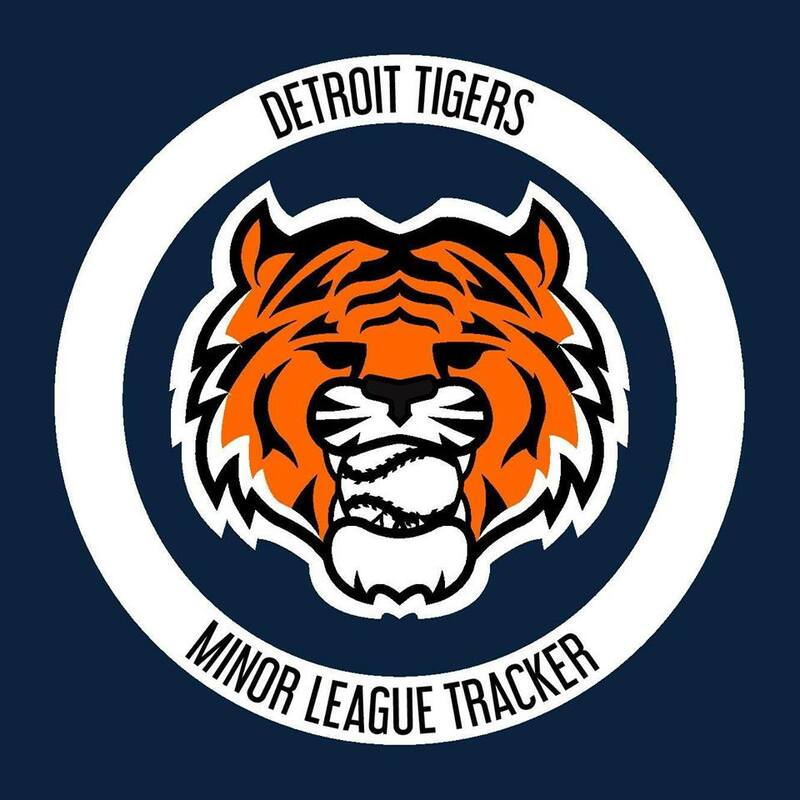 Detroit Tigers Minor League Tracker became my go-to place for all things Tigers farm system. Back in June, I saw an update on the page asking followers to take a survey. After filling out the survey and adding in my comments, I received an email back from Kenon Carter thanking me for my input and asking me about my own writing with Legends on Deck. Since then, we have continued to stay in touch. In recent months, Carter has launched a corresponding website, TigersHangout.com. I caught up with the him to discuss his journey into baseball writing and the success of his work covering the Detroit Tigers MiLB affiliates. Kenon and his daughter, Sydney, at Harry Potter Night in Toledo. Kenon, thank you for taking the time to discuss your work with me. First, I’d like to say how impressed I have been with the work you are doing covering the entire Tigers farm system. It has been a real resource for Tigers fans, like myself, who have really turned our attention to what’s happening with the future of the franchise in this rebuilding process. Tell me a little bit about your background, your passion for the Tigers and what’s led you to launching this project. Thank you for the kind words, Brian. Even though I have never lived in Michigan, I grew up in a diehard Tigers household. To give you some perspective, my older brother’s name is Kaline. Yes, my parents named their first born son KALINE. So my passion for the Tigers was forged at a very young age. Growing up, baseball was the most important thing in my life. After obtaining a degree in Sport Industry in 2001, I went to work in minor league front offices for a couple years in both corners of the country. But then I got away from the game for the better part of 15 years. I remained a fan, but on a very casual basis. In February of 2018, I had a very honest moment with myself when I decided I needed baseball back in my life again. I started writing blog posts about the upcoming season, recapping Spring Training games, etc. I wasn’t publishing them anywhere, I just knew I needed to start writing about the Tigers a little bit every day and that it would make me happy. I started a Twitter account (@Tiger_Lifer) and began following everyone I could find who was associated with the Tigers. One of the first real pieces I wrote was this story about my dad and how I became a Tigers fan. In early March, I submitted it to BlessYouBoys.com as a Fan Post and got a lot of really positive feedback. As I was following the Tigers during Spring Training, I found myself completely enamored with the lower levels of the system. I also knew I wanted to start my own thing. As with any professional franchise, the coverage of the big club is well established. While there is a ton of fantastic minor league coverage out there, I saw that Facebook was under-represented as it relates to Tigers-specific minor league coverage. So I started the Detroit Tigers Minor League Tracker on a whim one day, and here we are. When I first started following Detroit Tigers Minor League Tracker on Facebook, there were probably 1,200 “Likes” on the page. Currently, the page sits at over 4,700 “Likes” in less than a year in operation. Anyone who’s ever tried to grow a following on a Facebook page knows how difficult it can be to attract people. Why do you think the page has become so successful in such a short period of time? I think there are a couple factors at play here. First, I ran quite a few Facebook ads that enabled me to get my page in front of people who were established as Tigers fans on Facebook. The official Detroit Tigers page has 2.3 million followers on Facebook. So there is a lot more room for growth in that space. Furthermore, and depending which resource you use, there are roughly 2.2 billion active monthly users on Facebook, compared to just 330 million on Twitter. While many people are migrating towards other outlets as their primary form of social media interaction, Facebook is still far and away the biggest player. It’s a place where you can really develop a personal connection with people that you can’t quite match with Twitter or Instagram, in my experience. The people who follow my page and I all share a common interest — and that’s the Detroit Tigers. Facebook has given me a venue to create a really personal experience for those people, be an ambassador for Minor League Baseball in general, and hopefully be seen as a bit of a micro-influencer for the Detroit Tigers. The recipe is pretty simple: produce quality content, in multiple formats, across multiple platforms, and engage with people constantly. This leads to the highest engagement rates, the highest retention rates, and the maximum organic growth. As you approach the one year anniversary of Detroit Tigers Minor League Tracker, what are some of the most interesting things you have learned about the Tigers franchise and the game of baseball as a result of this venture? The entire Tigers online community has been incredibly welcoming. It would be impossible for me, without omitting someone, to list everyone who has influenced me and helped me get up to speed after 15 years of being a passive baseball fan. I’m not a professional scout and I’m not a trained sports journalist. I like to think my approach to covering the minors, however, is about more than that. I’ve interacted with players, families, front office members, and fans who live the “minor league life” every single day — many of whom do so with little to no fanfare or notoriety. They are every bit a part of the sport we love as the names and faces we see on our television screens every night who are making eight-figure contracts. Major League Baseball is fun. Big-name prospects are fun. But Minor League Baseball is more than just a breeding ground for the stars of tomorrow. It is a lifestyle for thousands of people. I really pride myself on uncovering those stories and bringing Minor League Baseball and its many interesting characters to the forefront. In year one of Detroit Tigers Minor League Tracker you have built a strong foundation of followers, provided excellent content for readers and launched your website, TigersHangout.com. What can your readers expect from you in 2019? My first year was an incredible whirlwind of a learning experience. I really had no idea what I was doing when I started and didn’t have a definitive plan of where I wanted it to go. In 2019, I’m trying to take a more organized approach and be more consistent with the content I put out into the world. It can be challenging because I’m trying to reach people across so many platforms — Facebook, Twitter, Instagram, tigershangout.com, the Detroit Tigers Minor League Tracker podcast, and through my work on Bless You Boys. Through all of this, I’m still essentially a one-man band, and I do have a demanding day job and a family. That said, this is way more than just a hobby for me. It’s my life’s work so I want to continue to foster it as such. I’ve recently launched a Patreon page to help generate some revenue that can offset some of the costs I incur. I also had a logo professionally created and have t-shirts available for sale. I’ve established relationships with sports card and memorabilia distributors and I use that for giveaways and live drawings that people can buy into to help raise funds another way. My expectation is to continue to grow without losing the personal touch that has made the Facebook page so successful and rewarding. This year, I’ll be heading to Lakeland for Spring Training for the first time ever. I’d eventually like to get to the Dominican Summer League and the Arizona Fall League, among other venues. As I continue to accumulate experiences and build my network further, I think the content will only get better. Shifting gears a little, DTMT / Tigers Hangout and Legends on Deck share a particular focus on Minor League Baseball and the prospects that have to potential to be the future stars of the game. Who are some of the upcoming prospects you are most excited about and which players do you think have the greatest potential to be a MLB stars in the near future? If I’ve learned anything in my year of doing this, it’s that projecting stardom on the basis of minor league output is a zero-sum game. That said, Casey Mize, Matt Manning, and Isaac Paredes are the obvious choices right now. Mize just has too many Major League quality and above pitches in his arsenal not to be considered a future frontline starter. Manning has far and away the most explosive stuff in the system, with mid-90s heat and a curveball that can be devastating at times. If he can develop some feel for the change-up, he has a chance to be an ace. Paredes did things as a teenager in the Florida State League and the Eastern League that have him looking like one of the next elite hitting prospects in all of baseball. My sleeper is Daz Cameron. I just think there is so much to like about the totality of his game and a little bit more development on both sides of the ball could turn him into a very good center fielder and top-of-the-order option for many years to come. When you look at the Tigers recent draft picks and the overall direction of the farm system, there is a particular emphasis on pitching. Arguably the biggest weakness of the 2006-2014 Tigers teams was their bullpen. When you look at Casey Mize, Matt Manning, Franklin Perez, Alex Faedo, Beau Burrows, Kyle Funkhouser and the rest, do you see some of these guys making eventual shifts to bullpen roles? Additionally, do you think the Tigers could move to the new approach of the “Opener” versus the traditional starting pitcher? Mize and Perez are no-doubt starters to me — because of pure stuff but also advanced pitching acumen. Manning is projecting in the same direction, but I want to see a full season at double-A to evaluate his fastball command, curveball consistency, and third pitch progress against guys who really know how to hit. I do believe that Funkhouser, along with fellow prospect Spencer Turnbull, are ultimately headed to the bullpen where they both have the potential to be shutdown 7th & 8th inning options. Faedo and Burrows have the most question marks right now. If I had to guess, I would say that Faedo remains a starter but as a back-end rotation piece, and that Burrows moves to the pen where he can simplify his assortment and overpower hitters with his plus fastball. It will be a few years before that is determined for either of those two though. Tigers fans have had to endure a lot the past few seasons. We have watching former stars like Justin Verlander, JD Martinez, Rick Porcello, David Price and Ian Kinsler win World Series Championships. Throughout this process, you have connected with a lot of people in Tigers world — team personnel, writers, fans. What things stand out to you the most about the direction the rebuilding process? Should Tigers fans remain optimistic about the future and what is a realistic time frame for the Tigers competing for the postseason? The biggest thing about understanding rebuilds is that they can be excruciating. Player development in baseball takes much longer than in other major sports. Even elite talents like Parker Meadows, for instance, require 1,500+ plate appearances in the minors before we can comfortably start talking about their projections as Major Leaguers. Even then, we don’t know what we have until they start facing the Verlanders, Klubers, and Sales of the world. While we may not collectively agree on every decision that our front office makes, the important thing is to trust that there is, in fact, a plan in place. When you inject yourself into the minor league pipeline like I have, it’s much easier to remain optimistic and endure those long summer nights in Comerica Park. Depending on what happens with the other teams in the division, I think we’ll start feeling some buzz in Detroit in 2020 when many of our top prospects start landing firmly on the 25-man roster. After that, I could see the Tigers legitimately putting up a fight in 2021, and, with the ghost of Ernie Harwell in our corner, hoisting a World Series trophy in 2022. As if it won’t be special enough when that happens, witnessing so many of the key components of that next championship squad as they grow up in the minors is something I believe will make it even more rewarding. That’s my dream at least. Spring Training is right around the corner and those of us following the Tigers farm system are excited to see what Detroit Tigers Minor League Tracker and Tigers Hangout have in store in this season.